A perfect way of transporting small pets such as small dogs,cats rabbits etc. Also a soft inner pad for your pet to lie on. Folds flat when not in use. Carry handle. VENTILATED to sides. This High Quality and Well Designed Ostrich Pattern Pet Carrier Bag Sling Tote is Perfect For Your Little Dog or Cat. Pattern: ostrich. Material: PU Leather. Fabric: high quality PU leather. Cute Cat Stuff. YOU ARE PURCHASING A BRAND NEW WITH TAGS PET CARRIER SOFT SIDED FOR CAT/DOG. SECOND PICTURE SHOWS INSIDE WHERE THERE IS A PIECE OF CARPET ON THE BOTTOM OF THE BAG. DESIGN IS BLACK & GRAY WITH PAW PRINTS. FOR SMALL DOG UP TO 11 POUNDS. MPN: 40044. Refill For Bags On Board Original Dispenser and Shaped Dispenser. Color - Rainbow. 100% Biodegradable Bags. Category: For Your Pet, Pet Crates, Carriers, and Enclosures, Pet Bags. YOU ARE PURCHASING A BRAND NEW WITH TAGS PET CARRIER SOFT SIDED FOR CAT/DOG. SECOND PICTURE SHOWS INSIDE WHERE THERE IS A PIECE OF CARPET ON THE BOTTOM OF THE BAG. DESIGN IS PINK WITH DOG BONES & PAW PRINTS. Colour may vary. Clip-on shoulder strap. Top & side zip opening. Easy clean polyester covered base board. Taking your fur baby on an outing, or just need an easier, more lightweight way to tote your kitten to the vet?. 16" x 9" x 12 1/2"; for cats up to 10 lb. When not in use, carrier folds down for space-saving storage. Category: For Your Pet, Pet Crates, Carriers, and Enclosures, Pet Bags. Two carry handles with cloth hook and eye overcenter handle. As a serious breeder, or the concerned pet owner,it is important to understand how critical weight is indicative of health and well -being. Safely bring your fluffy escape artist with you to the park, mall, or wherever your adventures take you. This carrier is perfect for cats, puppies, rabbits, and other small pets. Perfect for traveling, hiking, and outdor adventures. ThisPet Carrier is constructed from a sturdy plastic, and is suitable for cats, small dogs and other small animals. Gordon Carrier. inner cover: fleece. Colour: grey/black. polyester cover. with 2 side pockets. short leash prevents the pet from jumping out. The plush cover on the removable foam bed is machine washable. The coated exterior and interior fabric is easily cleaned with a damp cloth. Includes padded shoulder strap, machine washable Ultra Plush bedding and an instruction card. Finally a cat carrier that is designed specifically for cats. The sport pet travel master cat carrier is the last cat carrier you will ever need. The key feature is the carrier’s door with a wide side-opening gate that cats feel comfortable walking into. Your furry friend will enjoy superior ventilation and visibility. This kennel is great tool for crate training and housetraining. Features also include secure wing-nut and bolt design, steel front door with secure latch, comfort carry handle, and water cup. NEW PET CAT DOG RABBIT CARRIER KENNEL FOLDABLE PORTABLE TRAVEL TRANSPORT CAGE. IF YOUR ARE TRAVELLING THEN YOU SHOULD TAKE YOUR PET WITH YOU IN SAFE WAY. EXTRA SECURE TOUGHENED PLASTIC CAGE. VENTILATION SLITS PLUS REMOVABLE ENTRANCE. Whether a puppy, kitty, rabbit or even a duck…finally all of your animals can travel in style with our fabulous carriers. Shown here in Black Matte and Silver Thunderstruck Sparkle, they have a zipper top closure, two side windows with roll-up windows and a front pocket to stash other goodies. Whether a puppy, kitty, rabbit or even a duck…finally all of your animals can travel in style with our fabulous carriers. Shown here in Black Matte and Red, they have a zipper top closure, two side windows with roll-up windows and a front pocket to stash other goodies. THIS LARGE TOTE HANDBAG IS ~ FUN to WEAR and SHARE ~. THE "PURR-FECT CAT" PHOTO TOTE BAG. And Little Puffed Kitty Paws that run across the Top of Tote! Front of Bag Has 3 Display Pockets for Photos of your Pet Cat. Here you have a cat carrier bag. PET CARRIER. Ideal carrier for small pets. Assembly required. Side and rear air vents for improved air-flow. Left or right hand opening plastic front grill. Sturdy and lightweight. Travel, vet's office. shoulder strap. 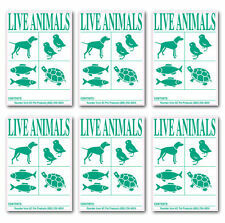 for animals up to 22#. AND 13" long by 10" high. light weight and not bulky. Color: Blue Sky. Length: from nape of neck (where collar falls) to base of tail. Height: from shoulder to floor. Top, front, and side zippered doors make your pet very accessible. Because if the size you choose is too small, it will not do at all. Will help to stop it sliding around! MPN: B13DSMD. Supportive plush Sherpa cushion inside with a built-in leash holder. Category: For Your Pet, Pet Crates, Carriers, and Enclosures, Carriers. Dog carrier. Its compact size is the perfect and convenient travel size. It allows your pet to see its surroundings, while allowing you to keep any eye on them as well. The wheels makes it convenient for travelers to walk through airports with long walks. Ez to set up! Twist to go and twist to stow. Quality nylon canvas scratch-proof screen and premium quality zippers.